Notifications are useful to let us know when emails or messages come in, when tasks are due, or when your best friend posts something funny on Facebook. However, you’re not always ready to deal with notifications when you get them. 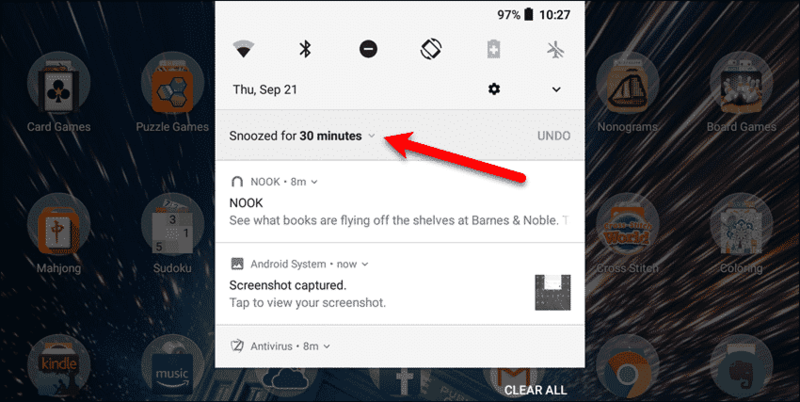 You can reschedule or snooze notifications instead of dismissing and forgetting about them. 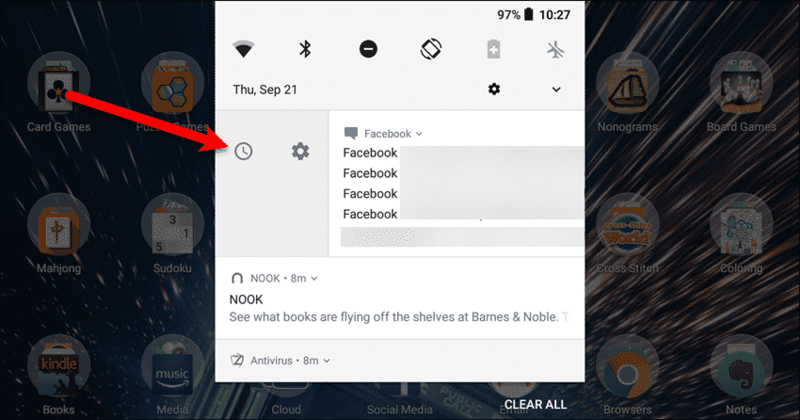 Previously, you could reschedule or snooze notifications using third-party apps like Notif Log. Now, you can snooze notifications directly in Android Oreo. When you snooze notifications, you temporarily dismiss notifications you don’t have time to deal with at the current time, but you don’t want to delete. The notification will alert you again later so you don’t forget. When you get a notification, and you can’t deal with it yet, swipe right or left slowly until you see the clock and gear icons. Don’t swipe too far or else you will dismiss the notification. Then, tap the clock icon. By default, the notification is snoozed or rescheduled for one hour. To change the amount of time for which the notification is snoozed, tap “Snoozed for 1 hour“. You can also undo the snooze by tapping “Undo” on the right. Three additional options display below the snoozed notification. Tap on “15 minutes“, “30 minutes“, or “2 hours” to change the amount of time. The new time displays where the notification was. A half an hour later, the Facebook notification I snoozed returns to remind me I should deal with it. Persistent, or ongoing notifications, cannot be dismissed or snoozed. These are notifications like a USB connection or like the antivirus notification in the above image. They provide the status of apps and features that are running in the background. 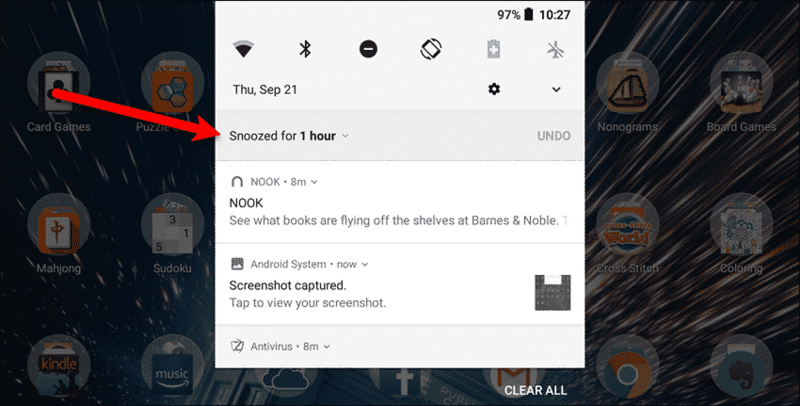 Do you like being able to snooze notifications? Or, do you prefer to deal with notifications when they arrive? Let us know your thoughts in the comments.